Socialist Party’s Irish Bust-Up Fall Out – from Irish Times to Socialist Democracy. The inner workings of the Socialist Party are not usually on display for all to see. Its TDs – Paul Murphy, Ruth Coppinger and Mick Barry – are the most cogent left wing voices in the Dáil. Also operating under the Solidarity (formerly Anti-Austerity Alliance) banner, they have led debates on issues such as abortion and water charges. Documents recently circulated within the party, however, illustrate how their movement has been criticised by international comrades for an excessive focus on abortion and women’s rights issues. The – well informed – article cites ‘Internal Documents’ – i.e. those made available on this site, not to mention elsewhere. The Socialist Party will present the truth “in the way which is most digestible to the working class at a particular time”, TD Paul Murphy has said. In internal documents discussing Brexit and wider strategy, he asks: “Are we guilty of not ‘telling the truth’ to the working class when we don’t bring a demand to leave the EU? In exchanges with members including Joe Higgins, he advocates a “united front” method of dealing with groups such as Sinn Féin. He also corrects his comrades’ “inaccurate historical description of the united front as ‘tactics the Comintern and revolutionary parties adopted . . . in the 1920s and 1930s’. Irish Times readers were spared the reference to ‘Mandelism’, in this ‘debate’ a sugared almond only us hardened Trainspotters could chew over. The below is definitely for the Trainspotters. The issues should concern us all. The programme of the Socialist Party is rather narrow and restrictive and it operates a vicious internal discipline. Like a hermit crab it lived for decades in the British and Irish Labour parties and patiently burrowed into lower level of the union bureaucracies to win positions. The publication of internal documents from the Socialist Party has led to a gleeful attempt to rubbish the left by the Irish press and by an outbreak of gossip on social media. In neither case has there been any real discussion of the issues arising in the SP’s internal debate. This is a pity, because the documents highlight key strategic contradictions for the Irish left that are not being addressed. The Irish organisation is criticised by the British group for opportunism in the abortion referendum. That is the claim that they simply supported what young militants already believed and made no attempt to introduce socialist policies. Both sides of the argument are hampered by distorted ideas of what a socialist policy would be. For the critics, it is an orientation to the working class, by which they mean speeches in dusty trade union halls. For the Irish group, it was moving the front group ROSA to a more radical position focused on the right to choose. The dispute around Sinn Fein inside the Socialist Party between Paul Murphy and the majority represents a much greater division than simply debates on feminism. Unfortunately that debate is poisoned at source, with both factions agreeing that Sinn Fein is a sectarian party. The policy of the party is that a democratic majority vote for a united Ireland would be sectarian and coercive because it might provoke loyalist paramilitaries to violence. The extreme unionism of their position does not stop there. They routinely see far right loyalists as legitimate representatives of Protestant workers. So at a fundamental level members of the Socialist Party exhibit a deep hostility to a unified Irish democracy. What then divides them? Paul Murphy is in effect pointing out that their policy, brought to the fore, will alienate workers and limit their electoral appeal. All this has happened before. The programme of the Socialist Party is rather narrow and restrictive and it operates a vicious internal discipline. 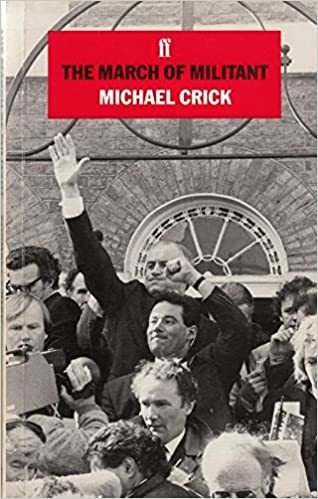 Like a hermit crab it lived for decades in the British and Irish Labour parties and patiently burrowed into lower level of the union bureaucracies to win positions. Today the union leaders, locked in partnership with capitalism, are content to front protest activity led by communities and activists. This gives an area of intervention to the SP, but if the struggles are big enough they challenge the fixed ideology of the group. So the bin changes campaign of 2003-2004 saw an electoral boost for the Socialist Party but also saw the expulsion of their national secretary and Joan Collins standing as an independent TD. Many sniggered at the use of Marxist theory in the Socialist Party’s internal debate. It’s true that it was somewhat turgid in places and self-serving in others. But it structures the debate around ideas that are themselves the fruit of many decades of struggle by the working class. Now I wonder who that can refer to…. Labour Split: Brexit and Beyond. Jeremy Corbyn faces a historic Labour rupture after being warned that more MPs are ready to follow the seven who dramatically quit his party on Monday. The leader publicly appealed for unity while his supporters launched savage attacks on the MPs, branding them “cowards”, “traitors” and “splitters” and demanding they give up their seats. But as the crisis deepened, deputy leader Tom Watson said other MPs are also considering leaving Labour, a party he admitted he sometimes no longer recognises, amid visceral anger over antisemitism, Brexit and Mr Corbyn’s leadership. The first response to the 7 resignations and the creation of the Independent Group in Parliament should – this comes in the realm of the bleeding obvious – be temperate. By contrast, the response to the resignations shows some of the left at their worst. Screams of ‘traitors’, as the Independent reports, are likely to be welcomed by the new Parliamentary group. They confirm their charge of intolerance and hatred. What all this means is that the Labour left is faced with a choice: do you want a genuine left-wing workers’ party, or do you want to continue the losing battle to hold together a traditional Social Democratic party which contains right-wing, pro-capitalist, pro-imperialist, MPs? This should be the moment when the entire Labour left, including the leadership around Jeremy Corbyn, decisively strikeout to recreate Labour as a genuine socialist party. Perhaps Rees, experienced in creating a genuine workers’ parties, from the SWP to George Galloway’s Respect, should be appointed an adviser to Corbyn. The next issue is to focus on the most important aspect: this break-away weakens efforts to stop the Tory Brexit. Not only by grabbing attention for the split. Concern at the influence of forces hostile to left-wing internationalism, that is, the pro-Brexit wing in Labour, can hardly have an effect outside the Party. Finally, is the controversy about anti-Semitism going to disappear? London Mayor Sadiq Khan has said he is deeply distressed by the Labour split, but admitted the party has been “shockingly poor” at dealing with anti-Semitism. The Labour Party has been shockingly poor at addressing the issue of antisemitism over the last few years. We know that there are members of the Labour Party who have joined who have clearly anti-Semitic views, or have been in our party for some time and have clearly anti-Semitic views, the Labour Party hasn’t acted swiftly enough to kick them out. But he said he believed the Labour divide will make it more difficult for the party to be elected to govern. History tells us that when the Labour Party splits, it leads to the Conservative Party winning the next election and the one after that and the one after that. What people I care about need is a Labour Government. One thing that’s going to make that more difficult is Labour splits. It beggars belief that the Chair of Luciana Berger’s CLP was capable of this without being caught out. The chair of the Liverpool Wavertree Labour Party – which is facing claims of antisemitic bullying by local members against MP Luciana Berger – made repeated appearances on a current affairs show broadcast by conspiracy theorist David Icke. Dr Alex Scott-Samuel, who is a member of the pro-Corbyn Jewish Voice For Labour group, has been a regular guest on the Richie Allen on David Icke.com show since 2015. At the moment most minds are going to be focused on the potential of the group in elections. When asked in the survey who they would vote for if there was a general election tomorrow, 8 per cent of the respondents opted for ‘A new centrist party opposed to Brexit’ if one existed. If these results materialised in a general election, this would make the Independence Group the third largest party, behind the Conservatives on 39 per cent and Labour on 34 per cent. Revealingly, the majority of the new party’s vote share has come from Labour, causing the party to fall into second place, five points behind the Conservative Party. Will more MPs leave Labour and the Conservatives to join the Independent Group? McDonnell: Labour needs “mammoth, massive listening exercise. Shadow chancellor John McDonnell has said that Labour needs “a mammoth, massive listening exercise” and to address some of those criticisms that have been made of the party. But he played down suggestions that as many as 36 Labour MPs had been considering a split. “I don’t think there is that scale, but the key issue for us – and it was made clear at the Parliamentary Labour Party, Tom Watson said it and others – the Labour leadership, and I’m part of that, we need to keep listening, bring people in, talk to them,” he told Sky News. We at Open Labour view the split from the Labour Party as a step backwards for open politics within Labour, and for the communities our party represents. Many of those splitting away have served Labour for years, so we thank them for their work and wish them well, though we disagree with their decision. As as a principle of democracy, we believe that those MPs splitting from the party no longer represent the people who voted for them as Labour candidates on our 2017 manifesto. They should stand down and face by-elections. We stand by Labour’s direction of travel on the economy and austerity, which alongside Brexit are the most important issues facing the country. Labour is the only party serious about fighting for a transformation of our broken economy, and all indications are that it will remain the only party offering such a platform. We have sympathy with some of these MP’s concerns raised around party culture, particularly with regards to the long failure of Labour to tackle anti-Semitic abuse and a culture of bad faith or exclusionary rhetoric which grips some CLPs – these criticisms cannot be dismissed. But the cure offered does not remedy the problem. We firmly believe that leaving the party offers no way to improve Labour, to ease the suffering in our communities, or prevent even greater suffering as a result of Brexit. Open Labour will continue to fight for a left which encourages pluralism and tolerates a range of traditions and groups in their right to exist and campaign. Without it, there can be no vibrancy in the party, splits become inevitable, and our democracy loses its purpose. The path to making our ideas a reality is through Labour and its allies in the trade union movement. We are sorry to see this happen and thank our leaving MPs for their service, but we look forward to campaigning for Labour candidates in the seats affected. Today seven Labour MPs have resigned from the Labour Party and announced that they will form a new “independent grouping”. We understand that these MPs have had concerns over the way that the party has handled Brexit, and over the way that antisemitism has been dealt with. Antisemitism is a serious issue. We are committed to rooting it out of the party and hope all Jewish members will stay to help us do this. Racism of any kind has no place in our party or our country. Labour has always been against discrimination of any kind. Antisemitism must be no exception. We understand too that Brexit is a national crisis, made by the Tories and designed only to create division and harm in our society. Labour is the only party able to stop the Tories achieving their ends – which is why we are so clear on the need for a public vote, and for Labour to campaign for our EU membership in that campaign. Anything else would let down the people of Britain who put their trust in us at the last election. We believe however that this fight is best fought within the Labour Party. Only Labour can win a General Election and keep the Tories out of power. Only Labour can stop the Tories’ Brexit getting through Parliament, and win a parliamentary vote to get a new referendum on Brexit. And only Labour has the reach and authority to lead and win the remain campaign. We believe that Labour has the answers to the problems Britain faces. Britain needs a radical Labour Government, able to sweep away years of Tory misrule and austerity, and restore fairness and justice to our country. This agenda is not served by splits or resignations. Labour for a People’s Vote. The Legacy of Lyndon LaRouche (1922 – 2019???). LaRouche really did not like us lot either. The ultimate American politician and conspiracist is dead—at least according to Twitter. It’s hard to know where to begin, really. This video summarizes LaRouche’s thoughts on Walter Mondale and is as good a place as any to start. The waters run deep and wide; I cannot but suspect Prince Philip is pleased to outlive him. This, well-established rumour, was widely tweeted. Lyndon LaRouche appears to have died at 96. Definitely one of the most successful political cult personalities of all time, especially if you go by the "volume of material handed out at DMVs" metric. This Report documents the takeover of the democratic party by George Soros. A Nazi sympathizer who continues in the destruction of peoples and nations around the world. The writer of this Blog first learnt of the existence of LaRouche at the end of the 60s when I was about 15 years old. The National Caucus of Labor Committees put its material in the old Collete’s ‘Bomb Shop’ in Tottenham Court Road. Yet we learn that the group had its origins in the US New Left. The NCLC had it origins in the 1968 convention of the Students for a Democratic Society. It comprised people who had been expelled from the Maoist Progressive Labor Party, an SDS faction, and students from Columbia University in New York City. It called itself the “SDS Labor Committee” or the “National Caucus of SDS Labor Committees”. Led by LaRouche, it included “New Left lieutenants” Ed Spannaus, Nancy Spannaus, and Tony Papert, as well as Paul Milkman, Paul Gallagher, Leif Johnson, Tony Chaitkin, and Steve Fraser. According to Dennis King, Papert and Fraser had been targets of the FBI’s COINTELPRO operatives. The Labor Committee was known for promoting a “socialist re-industrialization” of the economy, combined with confiscatory taxes on what it saw as wasteful and parasitic investment. It was expelled from SDS for taking the side of the teachers’ union in the Ocean Hill-Brownsville strike. It was originally a New Left organization influenced by Trotskyist ideas as well as those of other Marxists such as Rosa Luxemburg, but opposed other New Left organizations which LaRouche said were dominated by the Ford Foundation, Institute for Policy Studies and Herbert Marcuse. In 1964 he began an association with an SWP faction called the Revolutionary Tendency, a faction which was later expelled from the SWP, and came under the influence of British Trotskyist leader Gerry Healy. For six months, LaRouche worked with American Healyite leader Tim Wohlforth, who later wrote that LaRouche had a “gargantuan ego”, and “a marvelous ability to place any world happening in a larger context, which seemed to give the event additional meaning, but his thinking was schematic, lacking factual detail and depth.” Leaving Wohlforth’s group, LaRouche briefly joined the rival Spartacist League before announcing his intention to build a new “Fifth International”. In 1967 LaRouche began teaching classes on Marx’s dialectical materialism at New York City’s Free School, and attracted a group of students from Columbia University and the City College of New York, recommending that they read Das Kapital, as well as Hegel, Kant, and Leibniz. During the 1968 Columbia University protests, he organized his supporters under the name National Caucus of Labor Committees (NCLC). The aim of the NCLC was to win control of the Students for a Democratic Society branch—the university’s main activist group—and build a political alliance between students, local residents, organized labor, and the Columbia faculty. By 1973 the NCLC had over 600 members in 25 cities—including West Berlin and Stockholm—and produced what Dennis King called the most literate of the far-left papers, New Solidarity. The NCLC’s internal activities became highly regimented over the next few years. Members gave up their jobs and devoted themselves to the group and its leader, believing it would soon take control of America’s trade unions and overthrow the government. This is the point where it all goes a lot more haywire. It is hard to get a hold on it all. There are many people in the US referred to as ‘left-wing’. Honourable people who do a lot of good. But in Europe their politics are centre-left, liberal, ‘progressive’. The Marxist, or even radical, American left, has little practical influence on politics. Bernie Sanders, who would be on the centre mainstream of the UK Labour Party, never had the slightest chance of becoming President. The world was solemnly enjoined to take note when a couple of socialist councillors and then a couple of mildly radical socialist inclined individuals (in all cases with something like the politics of the respectable centre of the UK Labour Party) got elected to Congress. This means, some who know the US scene better than this Blog (not difficult) say, that it is made up of often frustrated and isolated individuals. It is claimed that they either live ‘dual lives’ (revolutionaries in their own minds, making daily compromises to the rest of the world), or keep the flame in enclaves (academic or cultural) shut off from the rest of the world, in academia or imaginary “Marxism lists”. However personally successful people may be in these conditions, however amiable and open-minded they are, their politics are likely to be pretty adrift. This would naturally attract its share of odd-bods, as all unorthodox politics do. LaRouche’s writings in the late 1960s displayed an intense curiosity about the history and methods of European fascism. His research, so his followers thought, was aimed at learning how to prevent fascism. But his analysis differed in subtle ways from that of other leftists. One of the first observers to spot something amiss was his old rival Tim Wohlforth. In a 1968 article, Wohlforth noted LaRouche’s “preposterous theory” that the Nazi’s murder of six million Jews had been motivated solely by economics. “It seems,” wrote Wohlforth, “that when [the Nazis] worked the Jews to a point where there was no labor power left in them, they simply sent them to the gas chambers to save the cost of upkeep for unproductive slaves.” Wohlforth saw LaRouche’s theory as just a one-sided analysis of Nazi motives. He didn’t suspect that LaRouche one day would develop his own brand of fascism. In 1971, LaRouche published a major article on the prospects for fascist base building in America, Only with a mass base, he observed, could a “storm trooper” organization have “saleable qualities” that might attract support from “leading governmental and financial interests.” He predicted that such a movement would emerge soon on the basis of a “populist” ideology and diverse appeals to rival ethnic groups. This movement would begin to furnish the capitalists with gangs to “break strikes and break up socialist and union meetings.” Although at first it might include fascist-minded Jews, it would sooner or later turn on the Jewish community. The Jews, LaRouche observed, were “a most visible and thus ‘ripe’ ” candidate for the role of scapegoat. LaRouche’s implication was clear: The NCLC must learn from fascism and adopt some of fascism’s tactics. But his followers still regarded themselves as good Marxists (in spite of their elitist pretensions) and retained a visceral hatred of fascism. If LaRouche wanted to steer them to the right, he would have to turn the NCLC into a controlled environment for ideological reeducation—a political cult. The NCLC’s transformation occurred in three overlapping stages during 1973-74. First, LaRouche ordered his followers into the streets for a campaign of savage attacks on rival leftist groups called Operation Mop Up. This forced them to either deepen their commitment or get out. It also isolated them irrevocably from the rest of the left. Second, LaRouche staged “ego-stripping” sessions at NCLC meetings, instilling in his followers a sense of shame over any ideological wavering or lack of courage they might have displayed during Mop Up. Finally, he whipped up an atmosphere of hysteria inside the NCLC based on allegations of an assassination plot aimed against himself. The acceptance of these bizarre allegations severed most of the remaining links between NCLC members and everyday reality. Operation Mop Up was preceded by months of squabbling between the NCLC and the Communist Party USA. NCLC members had frequently disrupted CP meetings with long harangues from the floor. The CP began tossing them out and published articles alleging that they were government agents. Matters escalated in early 1973 when the NCLC announced a conference in Philadelphia to build a national organization for welfare recipients and the unemployed. CP members and other local activists started a campaign to discredit the conference, calling its NCLC organizers racists as well as agents. The NCLC leadership was furious. A New Solidarity front-page editorial, entitled “Deadly Crisis for CPUSA,” warned the CP that if it didn’t back off it would face an all-out counterattack. The CP failed to take the threat seriously. On the conference’s opening day the anti-NCLC coalition sent a sound truck through the black community and staged a picket line with signs comparing the NCLC to the Ku Klux Klan. This failed to stop the event, which was attended by several hundred white middle-class activists and a handful of welfare mothers. The harassment did, however, give LaRouche the pretext he needed. He called an emergency meeting of the East Coast NCLC. “From here on in,” he declared, “the CP cannot hold a meeting on the East Coast . . . We’ll mop them up in two months.” The NCLC, he promised, would seize “hegemony” on the left—i.e., replace the CP as the dominant organization. As Queen Elizabeth II and Prince Philip arrived Wednesday in Germany for a three-day visit, the truly Satanic nature of the British Empire was on full display. Prince Philip’s top aide, Martin Palmer, is the principal organizer of a French government-sponsored Paris conference in July, peddling the same genocidal program of “Earth stewardship” that would-be mass murderer John Schellnhuber inserted into the recent Papal Encyclical on climate change. The Paris conference is part of the propaganda assault, leading to the next ‘Copenhagen’ conference at the end of the year, also in Paris. The Worldwatch Institute, founded by Lester Brown, has just issued a report, demanding an end to all subsidies for fossil-fuel and nuclear power, as part of the drive for a total conversion to renewables like solar and wind power. Any such reversal of the core principle of increased energy- flux density means mass genocide, on the scale that Prince Philip and Schellnhuber have been advocating for decades. Leading Italian economist Nino Galloni has penned an excellent attack on the recent Papal Encyclical, precisely from the standpoint of the concept of “energy-flux density” developed by Lyndon LaRouche. The question that must be posed to all sane citizens is: Are you for the British Empire’s genocide, or are you for the human race? Are you with Zeus or Prometheus? This is no abstract question. With the entire European financial system just days away from potential complete meltdown, around the showdown with Greece, and with a British-led NATO explicitly provoking thermonuclear confrontation with both Russia and China, the very survival of mankind is on the line. There is no question where President Obama stands. He is a British agent, fully committed to the genocidal agenda of Prince Philip, Martin Palmer, John Schellnhuber, and the rest. Yesterday, the internationally renowned Doctors Without Borders issued a highly unusual, scathing attack on Obama, for his Trans-Pacific Partnership free trade swindle, which, the release details, will shut off affordable medicine to at least a half billion people, under the secret clauses of the treaty, written in league with the major pharmaceutical companies. This is mass murder, plain and simple, and this is Obama. The greatest danger to human survival is the British Empire’s plan for mass genocide, as expressed by the Queen’s agent Schellnhuber. This is a full-blown commitment by the British Royal Family to reduce the world population to under one billion people. Any other matters are distractions and intentionally engineered distractions to prevent any effective counter to the genocide plans. The British Empire is a Satanic force, and is the continuation of the European Empire system that has been at war with mankind, ever since the launching of the 15th-Century Renaissance by Cardinal Nicholas of Cusa. The Empire’s response to Cusa and the Renaissance was the launching of 150 years of uninterrupted religious war on the European continent. The latest expression of the British Monarchy’s commitment to that same mass extinction is the Schellnhuber operation run against the Pope. It is around this issue that the future of mankind will be decided in the immediate period ahead.